In today’s fashion conscious world, women are extremely cautious about how they look and they provide special attention to each and every part of their body. Nails are no exception to this. 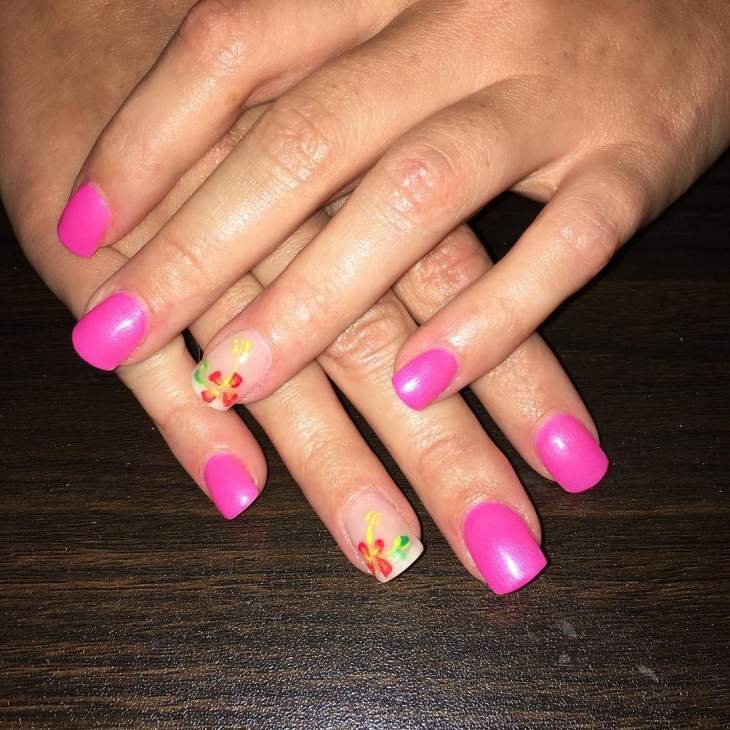 In fact, nail art has become such a popular trend nowadays that various beauty salons have started offering this service. 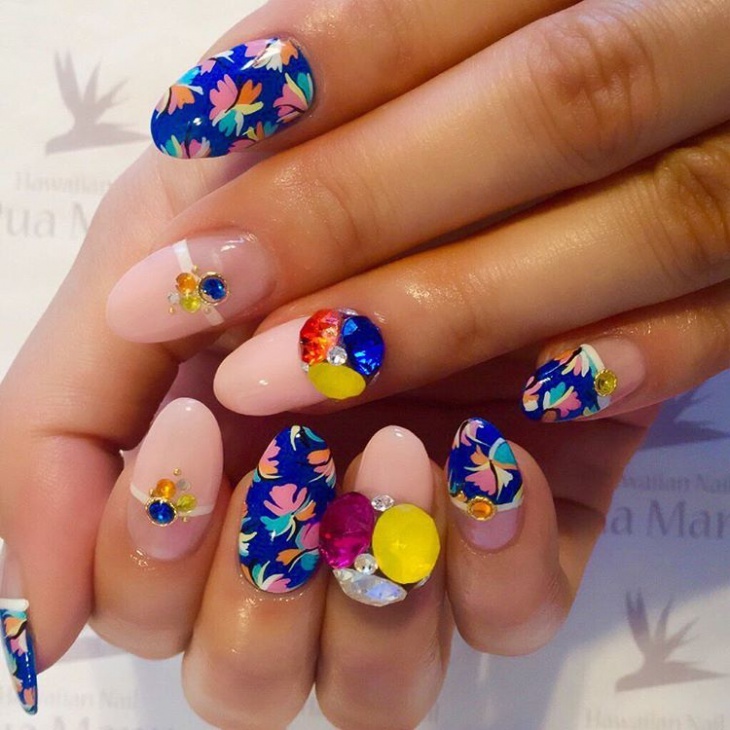 Out of the endless list of nail art designs, the one which is extremely popular during the summer season is the Hawaiian nail art designs. Besides this, French tip nails are also high in popularity as it maintains the style and health of your nails at the same time. 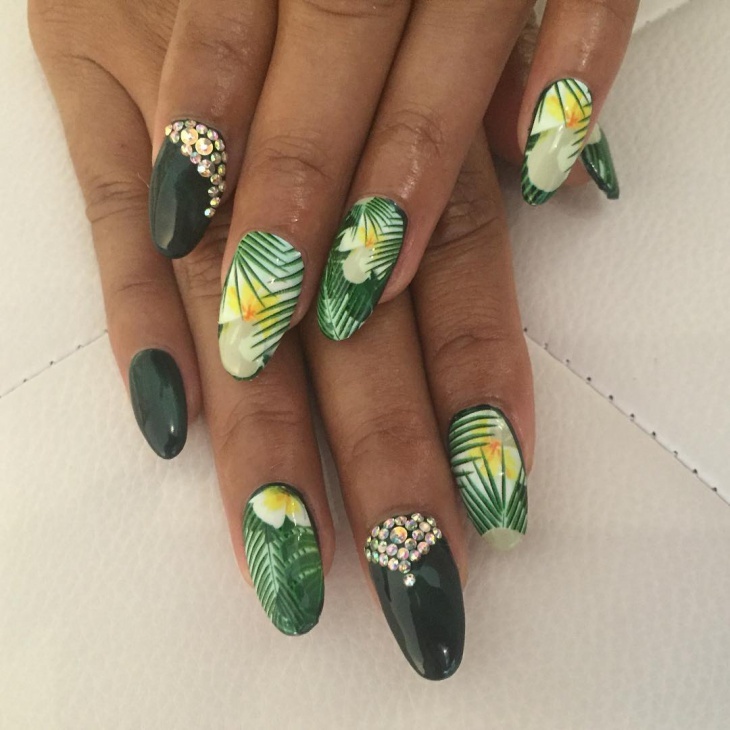 Here is the list of beautiful Hawaiian nail art designs that you should definitely try out. 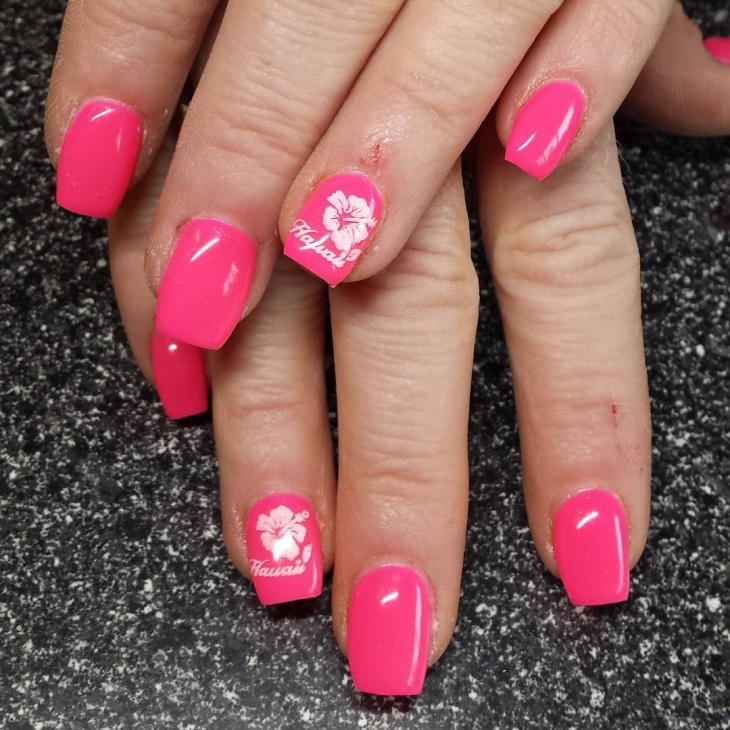 At the top of the list is the Hawaiian flower nail art. This design looks extremely cute and stylish. 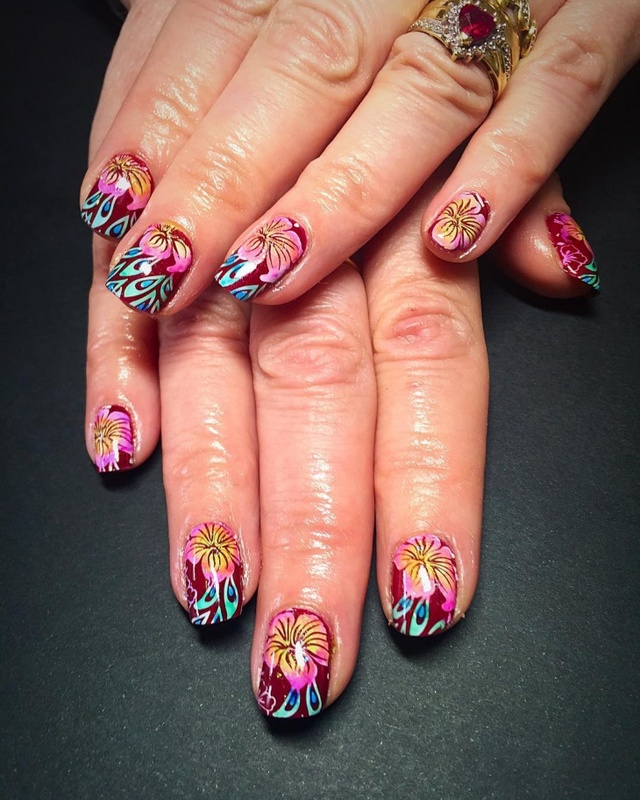 The color used in this design enhances the beauty of the nails. 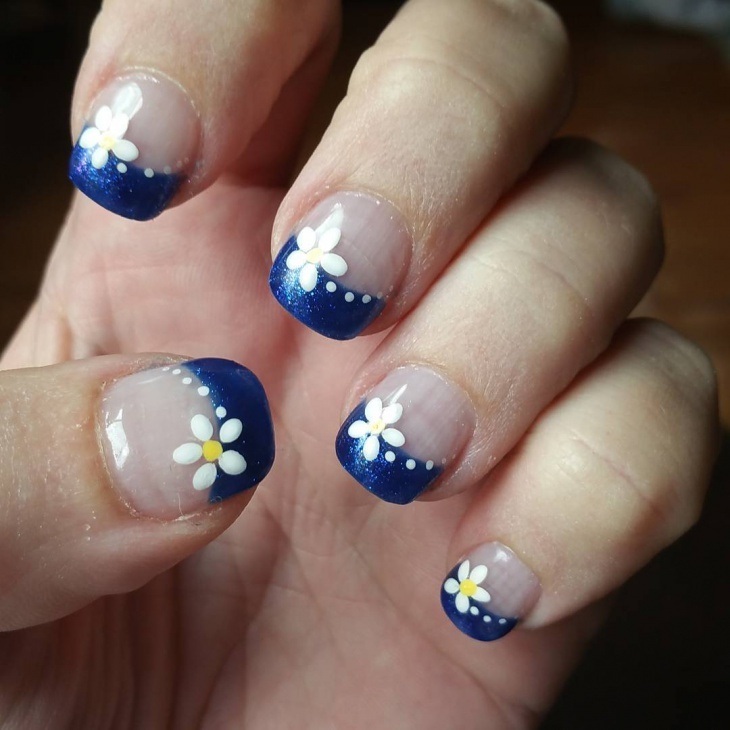 The flowers make the nails look more attractive. Next up is the Hawaiian themed nail design. The theme of Hawaii is fun, frolic, vacation, holidaying, beaches etc. This particular design is a reflection of these themes. Coming up next is the glitter Hawaiian nail art design. 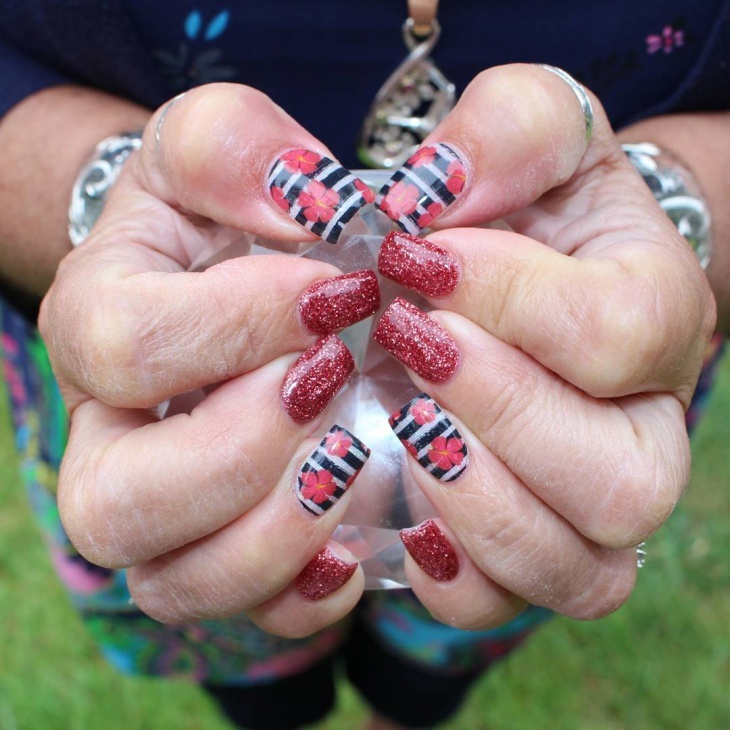 The combination of Hawaiian nail art and glitter is sure to make you stand out in a crowd. The glitter adds a touch of glamour to the nails. At the fifth spot is the Hawaiian gel nail art idea. This design perfectly matches with the fun and frolic mood, which is a major characteristic of the Hawaiian theme. 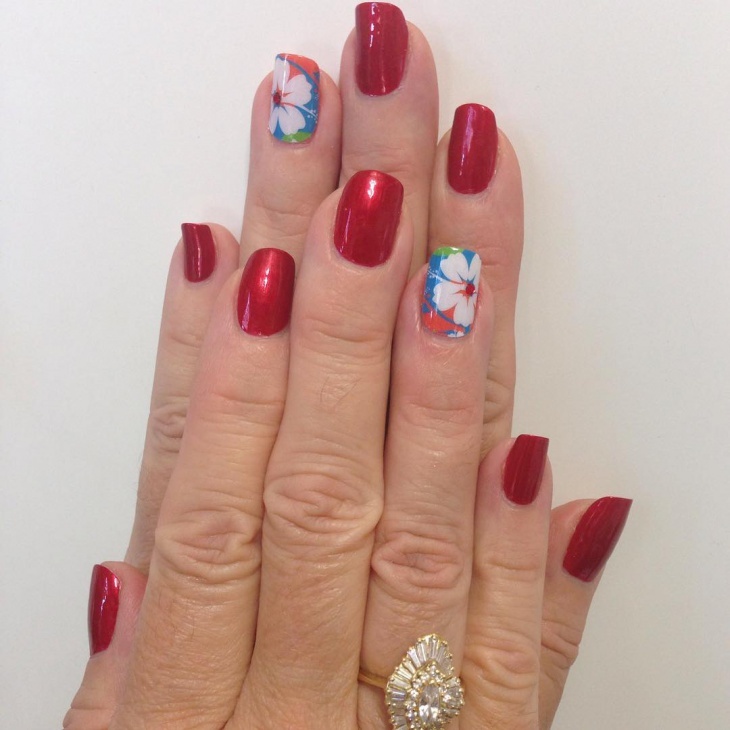 The Hibiscus flower looks extremely beautiful on this nail colour used in this design. 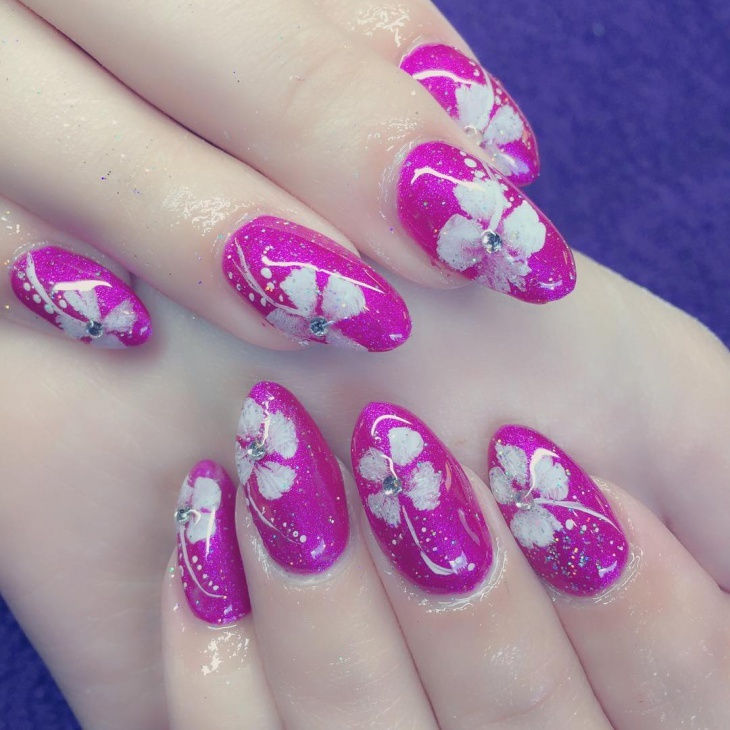 At the next position is the easy Hawaiian nail art. The name gives you the feeling that doing this nail art is not easy. 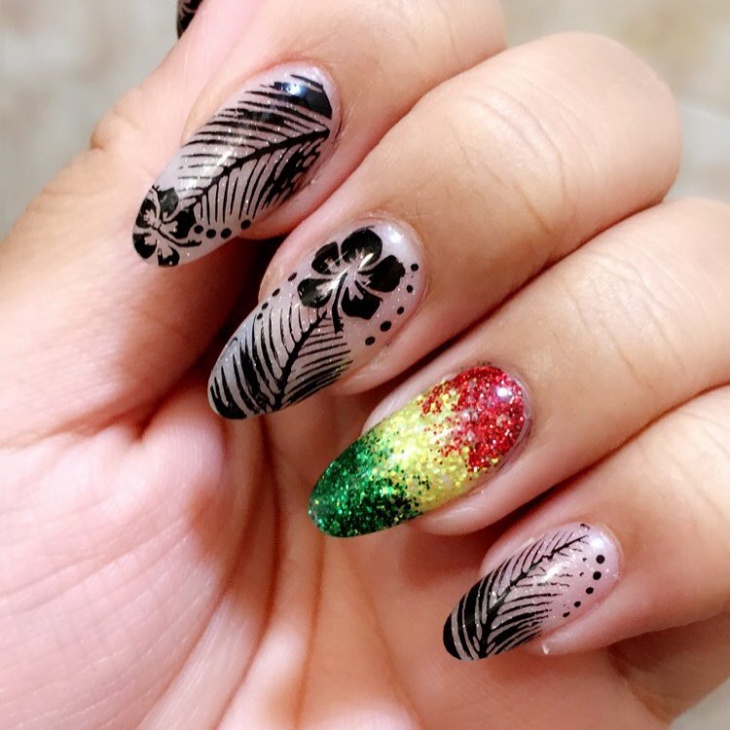 There are some Hawaiian nail art designs that are complicated, but there are also some that can be done with a lot of ease, such as, the one in this picture. This nail art looks simple and stylish. At the next spot is the Hawaiian acrylic nail. 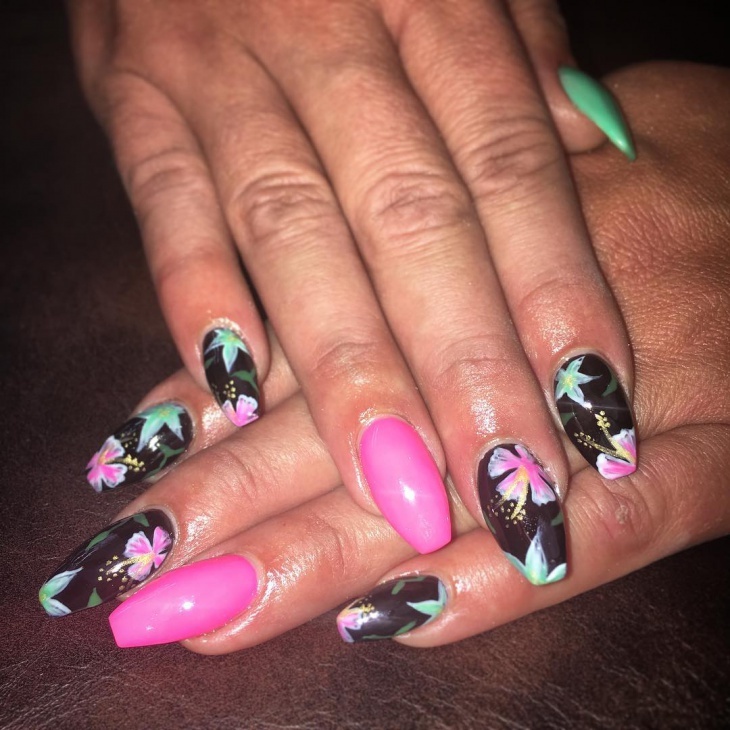 Acrylic nails have become a rage among girls and women, but, the beauty of the nails reaches soaring heights when acrylic nails are combined with Hawaiian nail art. 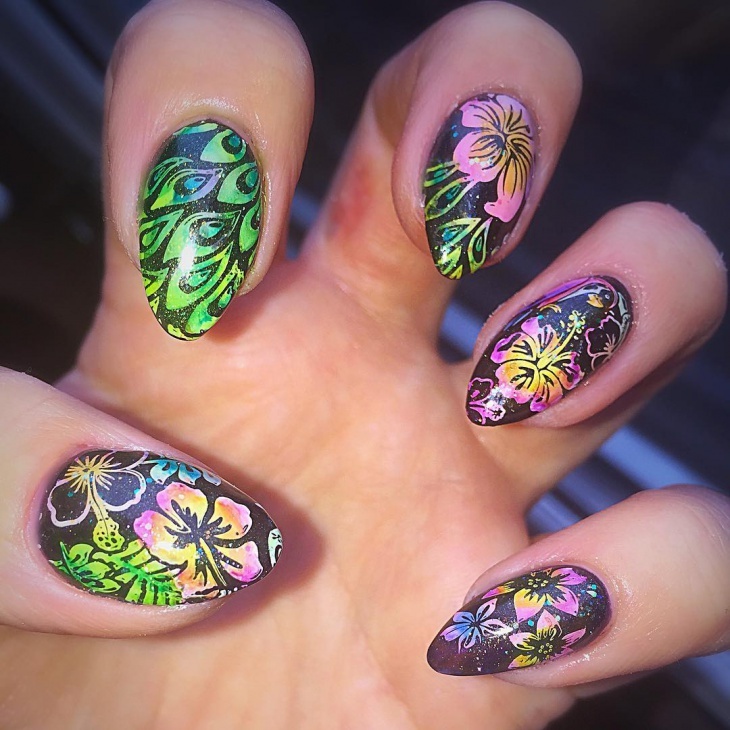 The amazing result of this unique combination is shown in this nail art. 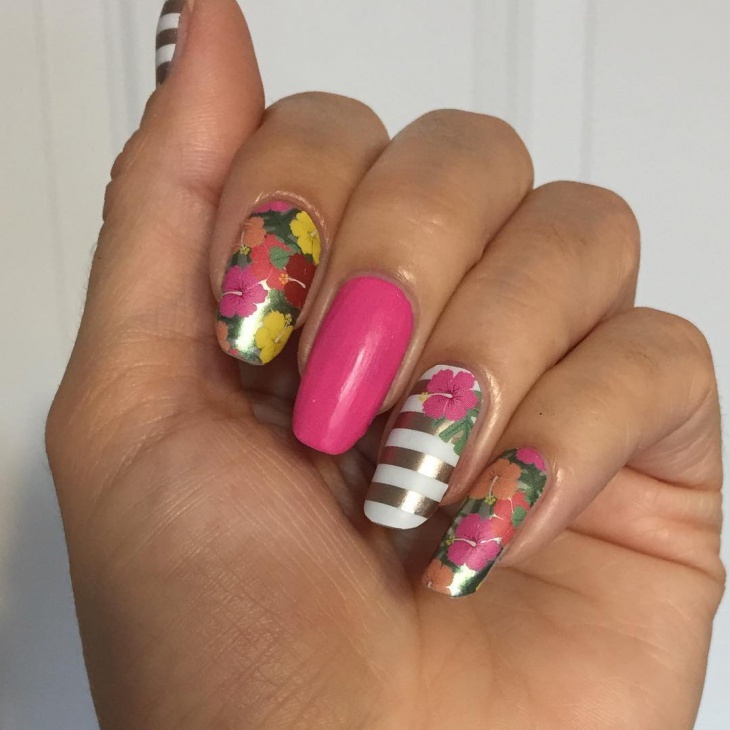 Up next is the Hawaiian Hibiscus nail art idea. Yellow Hibiscus is the official state flower. Hibiscus is the perfect flower for representing the Hawaiian theme. 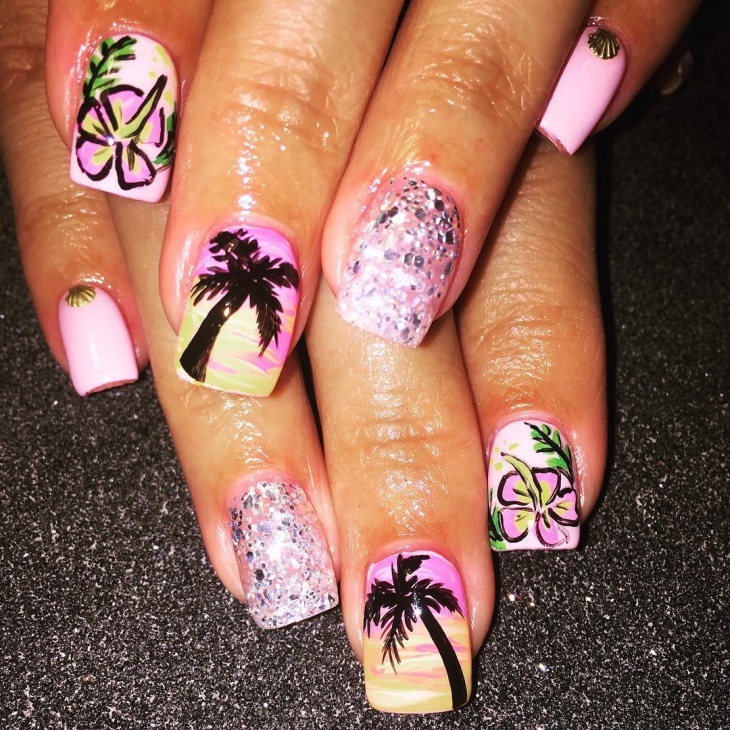 This nail art is the best option for a perfect Hawaiian getaway. 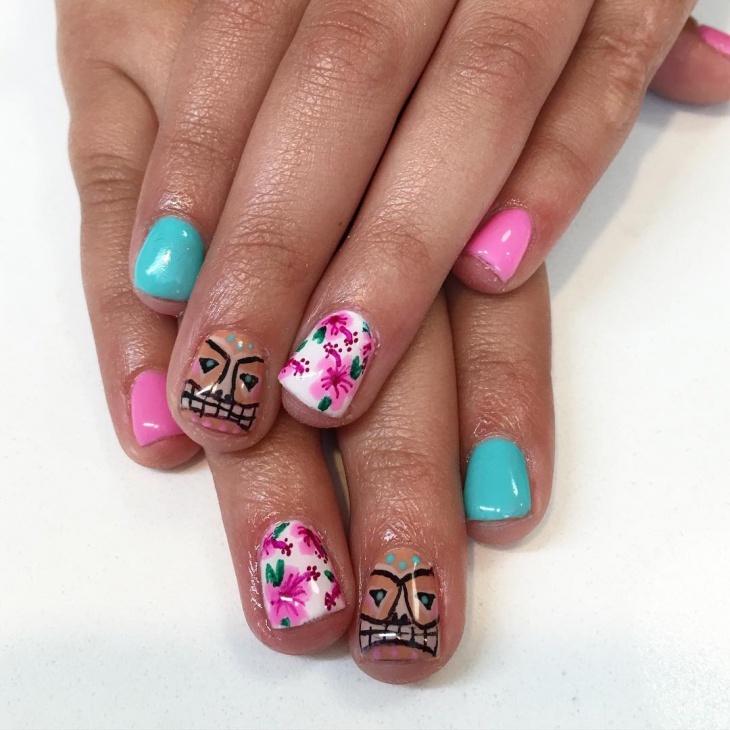 This Hawaiian nail art is for those who have short nails. 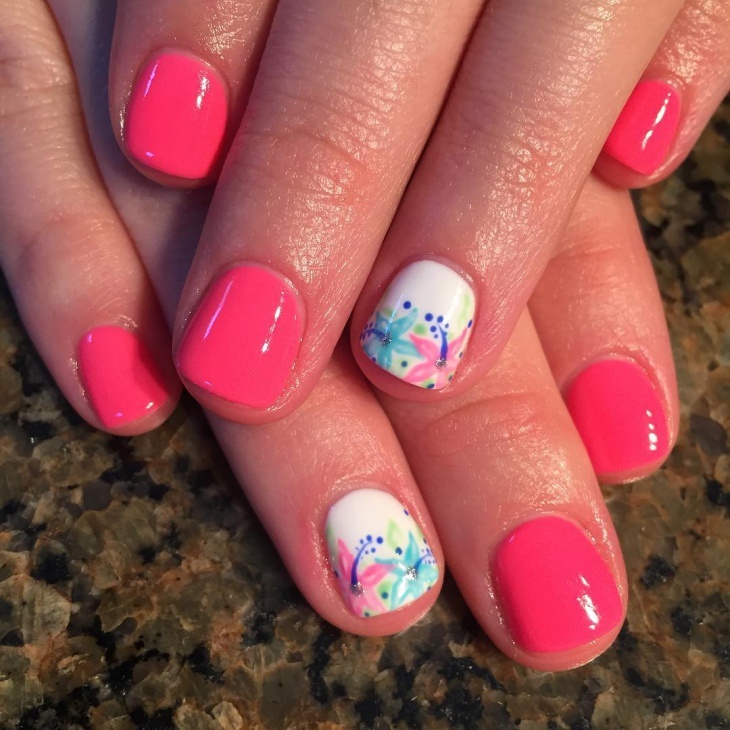 Hawaiian nail art looks extremely cute and cool on short nails. So, people with short nails do not need to hide their nails anymore. Talking of the color blue, the first thought that comes to mind is refreshingly cool. These are synonymous with the mood and theme of Hawaii. 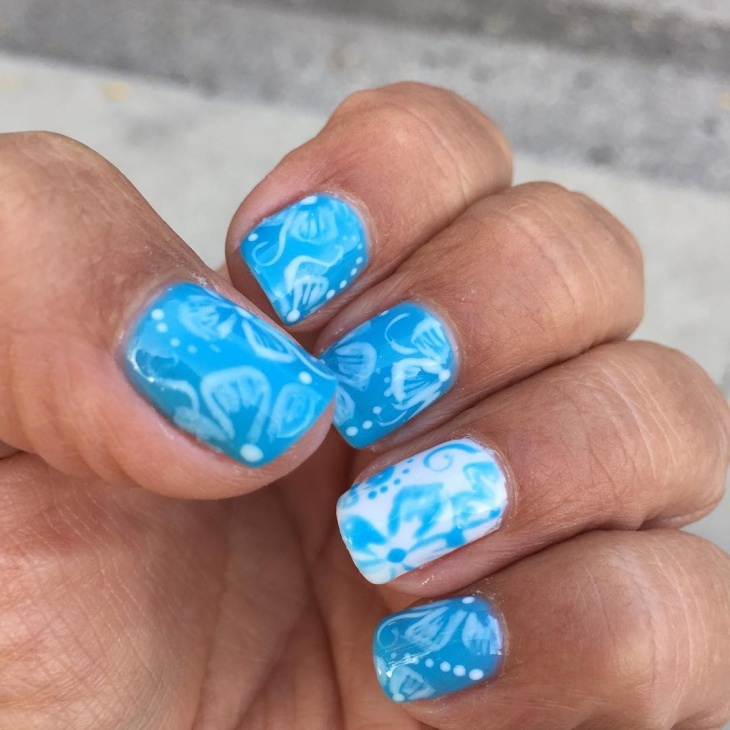 This blue Hawaiian nail art design looks extremely trendy and attractive. Talk of Hawaii and the first thoughts that come to your mind are holidays, beaches, bright colors and happiness. These feelings and thoughts are reflected in the Hawaiian nail art. 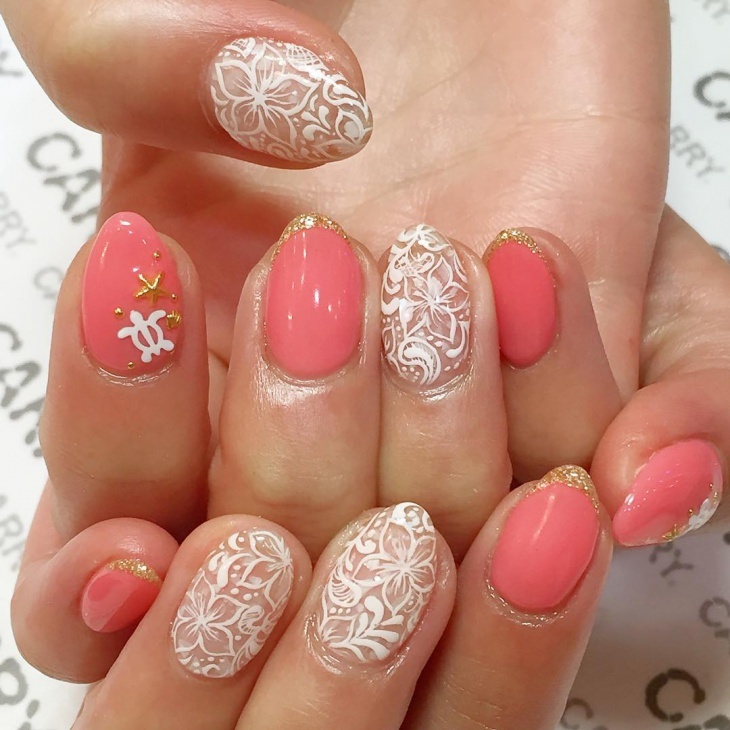 Besides this, some other nail art designs that are also gaining a lot of popularity are acrylic nail designs and lily nail design. Hawaiian nail art is the perfect option for you if you wish to set trends this summer.